Today, the articles of association of limited companies must state the municipality in which the company has its registered business office (business municipality), cf. ASL Section 2-2 first paragraph no 2. As of 1 March 2019 it will no longer be a requirement in ASL Section 2-2, first paragraph no 2 that the articles of association of a limited company shall provide information about the company's business municipality. Companies that are established before the amendment enters into force, and would like to remove the information of the business municipality in the articles of association, must change the articles of association in accordance with the rules in ASL Section 5-18. Corresponding legislative amendments on the simplification of the articles of association will apply to public limited companies, cf. ASAL Section 2-2 first paragraph no 3. Limited companies are free to choose whether the company should have a general manager or not, cf. ASL Section 6-2 first paragraph. If a general manager is appointed, he or she shall be responsible for the day-to-day management of the company's activities, cf. ASL Section 6-14 first paragraph. The responsibility for the administration and the day-to-day management of the company is thus shared between the company's general manager and the board. Previously, there were no provisions in ASL which stated who was responsible for the day-to-day management if a general manager was not appointed. As of 1 January 2019, there is thus a clarification in ASL Section 6-14 first paragraph stating that it is the board that is responsible for the day-to-day management of the company, if a general manager is not appointed. The board of a limited company of which has not appointed a general manager has thus from 1 January 2019, as a collective organ, the responsibility for the day-to-day management of the limited company, cf. ASL Section 6-14. If the board does not want to be responsible for the day-to-day management, the board can delegate the responsibility and competence to the chairman of the board or to one or more board members. When liquidating, it is currently a requirement that the general meeting elects a liquidation board to be responsible for the liquidation of the company. The liquidation board replaces the ordinary board and the general manager, cf. ASL Section 16-2 first paragraph. As of 1 March 2019, ASL Section 16-2 first paragraph will be amended in such a way that the general meeting no longer must elect a liquidation board. This indicates that the company's ordinary board will continue during the liquidation period and be responsible for liquidating the company, unless otherwise decided. Board members who do not want to participate in a board that continues and is responsible for the liquidation of the company, may withdraw from the board in accordance with standard rules, cf. the ASL Section 6-7 first paragraph. The general provisions of Chapter 6 of ASL regarding requirements for the board and employee-elected board members and deputy members will apply during the liquidation. The statutory amendment does not entail any change in the current provision stating that the general manager's role ceases by decision to dissolve the company, cf. ASL Section 16-2 first paragraph. The board will replace the general manager as a result of and at the same time as the decision to liquidate the company. Similar changes will apply to ASAL cf. ASAL Section 16-2. Requirement for the liquidation accounts, etc. As of 1 January 2019, the requirement for audited settlement accounts has been repealed for limited companies that have opted out of the audit of the annual accounts in accordance with ASL Section 7-6, cf. ASL Section 16-5, third paragraph. As of 1 March 2019, the requirements for auditing the liquidation balance sheet, the list of the limited company’s assets, rights and obligations and the final settlement of companies that have opted out of the audit of the annual accounts pursuant to ASL Section 7-6, are also repealed, cf. ASL Sections 16-6 and 16-10. The board of limited companies who have opted out of the audit of the annual accounts may thus after the amendments choose to get the liquidation accounts, the liquidation balance, etc. audited, if desired. The Parliament has passed a number of amendments to ASLs provisions regarding interim balances. For example, the requirement that interim balances shall be audited for limited companies that have opted out of the audit of the annual accounts is repealed. This indicates that such limited companies do not need a revised interim balance sheet in order to be able to distribute extraordinary dividends, grant credit to shareholders, etc. Another amendment is that limited companies must submit the interim balance to the Register of Company Accounts for filing. This is to ensure notoriety and publicity about the basis of calculation. At present, it is not clear when the amendments will enter into force. Before the amendments can enter into force, technical adjustments in the Register of Company Accounts and the Register of Business Enterprises must be made, and regulations regarding i.a. submission to the Register of Company Accounts and regarding access to the interim balance must be established. For further information regarding the relevant amendments, please see the Ministry of Trade, Industry and Fisheries (NO: Nærings- og fiskeridepartementet) or Prop. 100 L Amendments in the Companies Act, etc. 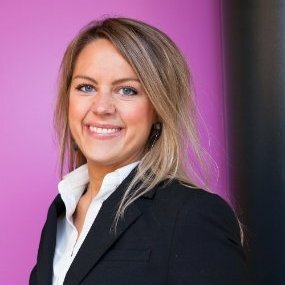 Mitt navn er Heidi Beate Daaland og jeg jobber som advokat i PwC. Jeg jobber med generell forretningsjus og bistår selskaper særlig innen spørsmål knyttet til arbeidsrett, selskapsrett og kontraktsrett. Jeg har bakgrunn både fra økonomi og jus og har arbeidet i PwC siden 2010. My name is Heidi Beate Daaland and I work as a lawyer in PwC. I work with general business law and assist companies especially within issues related to employment law, company law and contract law. I have a background both from economics and law and have worked in PwC since 2010.